Cloud Computing is the modern era’s rage in trend. It is the new norm of today’s world and has been prevailing here because of its ultimate usefulness and the growing demand for data, speed, and storage. Cloud computing is paving its way in many industries but only one-third of the organizations have been successful in implementing the cloud strategy. Why there is a dire need for cloud computing? The investment in cloud computing need to increase and therefore the CIOs have a lot of work to do. Apart from developing a proper cloud strategy, they need to educate their company’s CEOs and directors about the benefits of cloud computing. The current world is a digital world and numerous transformations keep happening in it. Digitization is growing in every nook and corner of the world which generates a huge need for data storage and security support. Digital India movement has a vision of making fast-paced digital highways, just like the 6-8 lane highways on the road which manage the traffic. Similarly, these high-speed digital lanes will influence businesses by creating digital footprints for all. Several technologies like AI, IoT, and majorly, cloud technologies are helping to strengthen the Digital India mission. So, these scenarios raise the need for managing such an enormous amount of data. This data should be easily accessible to the users with the help of cloud services. Even if there are several data centers, still there exists a need for more. The data will keep growing and the demand is not going to lessen, obviously. There should be a reduction in the loads all over. The power of the data center must be enough to deliver new services efficiently and flexible. The IT departments from the Government are also taking interest in investing in the cloud centers so that they can enhance their services. To cater to these increasing demand for cloud services, ESDS offers you a flexible, sizable, and secure cloud hosting service – eNlight Cloud. ESDS understands the specific needs of the cloud world and offers unparalleled solutions in this arena. You can check out the huge range of products and services. Our customers have the delightful satisfaction and that’s the secret behind our growth rate. Whenever we think of data centers, the typical image pops in our minds that is of an enormous room having stacks and rows of constantly blinking boxes with a web of wires. This situation is rapidly changing because of the advancements in the virtualization, due to which we can adjust more in compact devices. Gradually, the government data centers are also evolving to catch up with the virtualization trend. They want to avail the benefits of greater efficiency and optimization and to lessen the CAPEX and OPEX values. 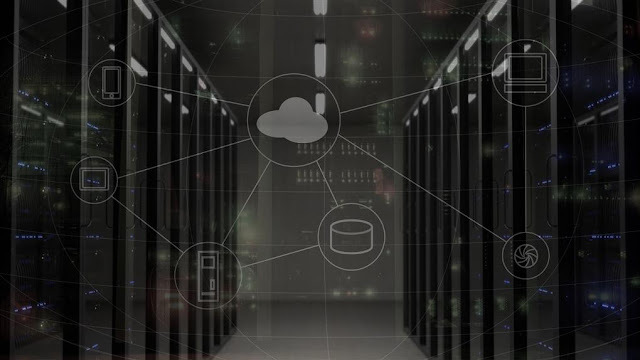 Even the data center model is updating itself to aid the needs of IT as a service and private cloud which will help in faster and smoother completion of projects. Due to virtualization, hyper-converged infrastructure is possible which can encapsulate servers and storage in a single device. It helps in leveraging the hardware and storage which offers elastic scalability and administration. • Reductions in the cost of software licenses, design, infrastructure, etc. • The linear and on-demand scalability of all the resources and computer can lower the necessity of overprovisioning while considering the demand of performance. • Providing support to new IT ventures like analytics can help government employees in improving their services. If you own a business, then you expect and strive to have appropriate resources who can serve you as and when an emergency arises. So is the idea of IaaS with respect to hyper-converged infrastructure. The agility lies in supplying storage, resources, and computing capability, right on demand for the developers and end users. This infrastructure creates an environment which functions like a private cloud. Furthermore, it can cater to more users and applications without extra human resources. This brings an assurance in terms of security, audit, and regulations because you won’t be using non-trusted and shared cloud services. The automation of the operational tasks like orchestration and provisioning eases out the tasks like re-configuring and activating servers. Such automation in the management of resources helps people to focus on the activities which only humans can do and not the technologies. Different applications have different needs of resources, storage, and compute capability. Be it Government application or industry related application, the parameters differ a lot. IT can help in making infrastructure non-complex while catering the services with betterment. Cloud has shown its immense potential and it is still in process to get better and better. India has shown a marvelous growth in the cloud computing world but every industry has to consider using the cloud. Green Cloud is the term trending nowadays as using cloud services reduces carbon footprints which in turn, helps the environment to stay greener. India is taking big steps in the cloud computing platform, even every year number of skilled person is increasing. Though, India should improve more to compete with western world.